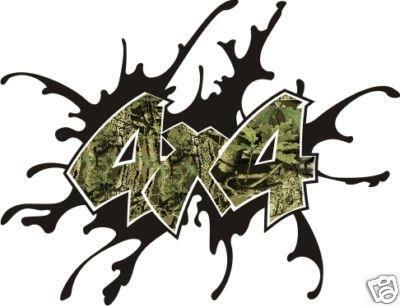 Set of 2 CAMO 4x4 Decals. One for each side of your vehicle. They are approximately 12".